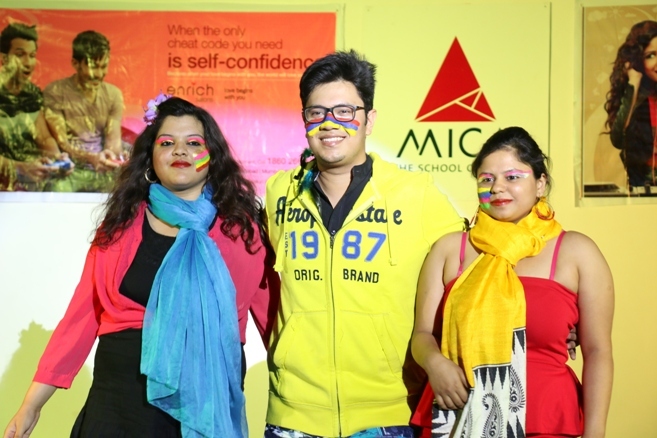 It was the final curtain call at the Yellow Umbrella Fest Powered by Ahmedabad Mirror, where Rannshetra, the movie marketing competition saw IMT Ghaziabad bag 1st prize with MICA coming in 2nd. 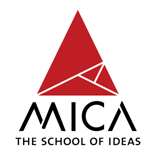 The Yellow Umbrella Fest, annual cultural fest of MICA, this year was based on the theme of counter culture, a subculture whose values and norms of behavior differ substantially from those of mainstream society, often in opposition to mainstream cultural mores. Rannshetra was based on the popular anti-establishment of bygone era, which is now a part of the mainstream culture. The stage was then transformed for Raven powered by Enrich Salons, where fashion and passion ruled the game. 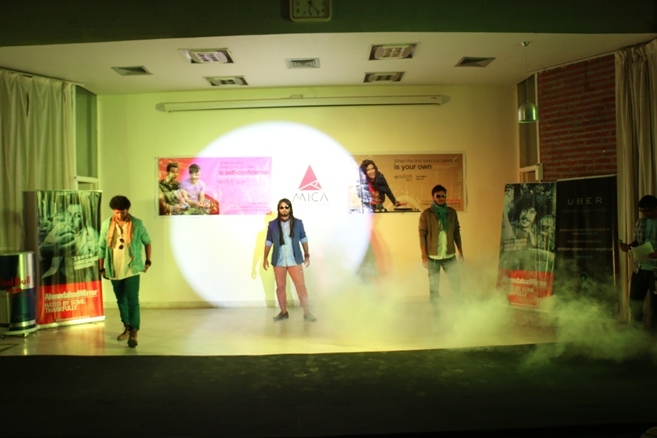 The winners, Ronak Soni, Yash Nagori and Siddharth Agrawal walked down the ramp, explained their concept and jazzed it up a bit with some impromptu props on-stage. In the evening, Abhinav Banker showcased his play ‘The Grate Sovereign’ at the Mani Ayer auditorium. The story was set in a 'Mumbai Chawl' where a young man named Chandrakant strives for power, not to brag or destroy, but merely to see his unsightly & unattractive sister happy. The protagonist develops a strong fascination towards Adolf Hitler and the play projects illusory conversations with Adolf Hitler and hilarious exchanges with other characters all attempting to hide his own desires and failure to improve his sister's situation, fueling his helpless cry to become - The Greatest Sovereign. The night ended at an all time high with Nishant Gadhok (G.A.D) and Nigel Rajaratnam performing at the Subway Glitch, an event that weaved electronic music with beautiful tones of the saxophone, making it a night to remember. 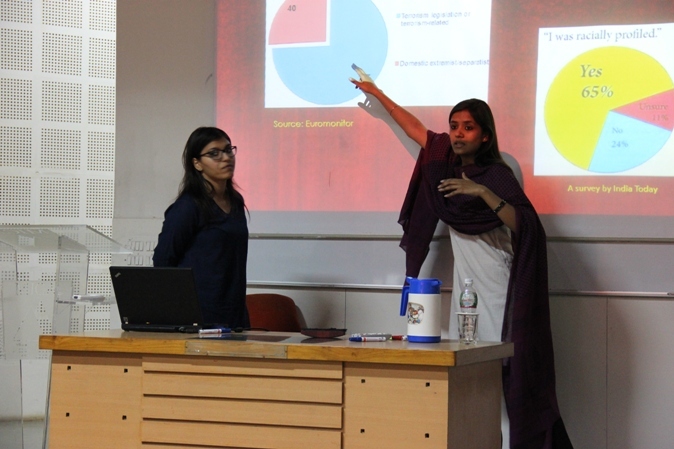 The first edition of the Yellow Umbrella Fest was a huge success for both students of MICA and other colleges. The next chapter of the fest is much awaited.